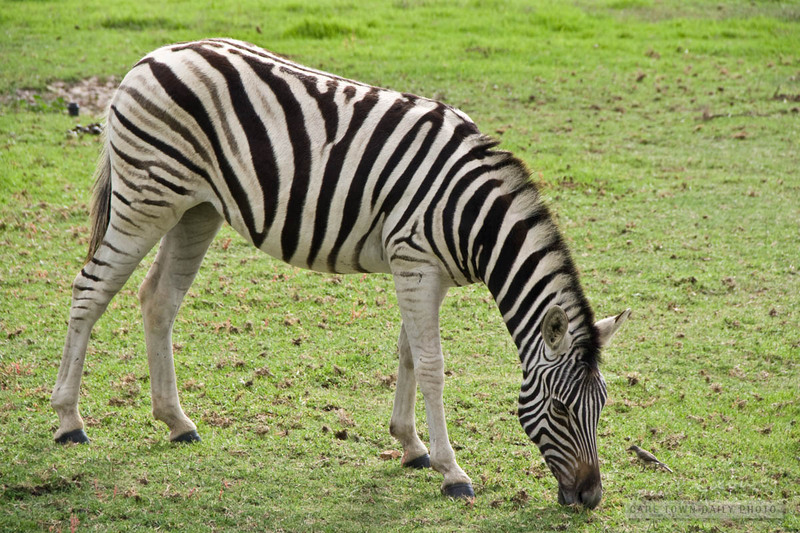 I suppose it's kind-of only half a zebra, and I suppose those aren't chains... but "Half-breed zebra in wire" just never had the same ring to it. 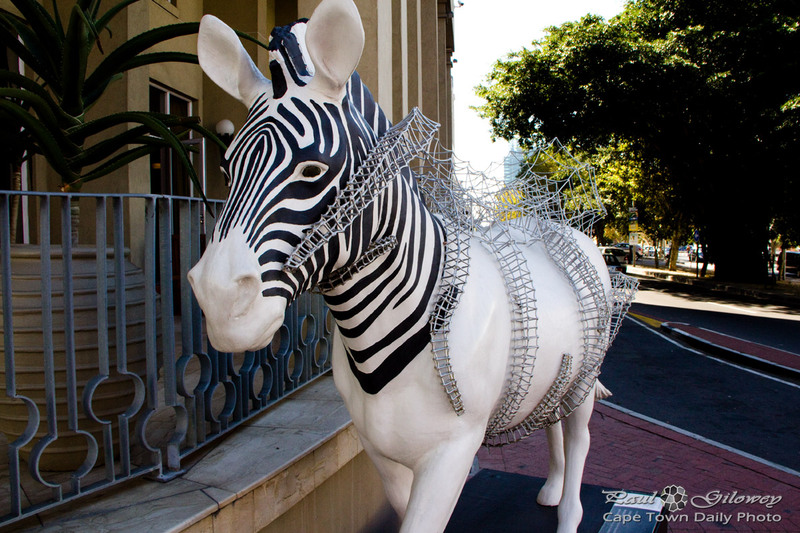 :) If you've visited Cape Town you'll probably have seen this zebra outside the Hilton hotel in Buitengracht Street. 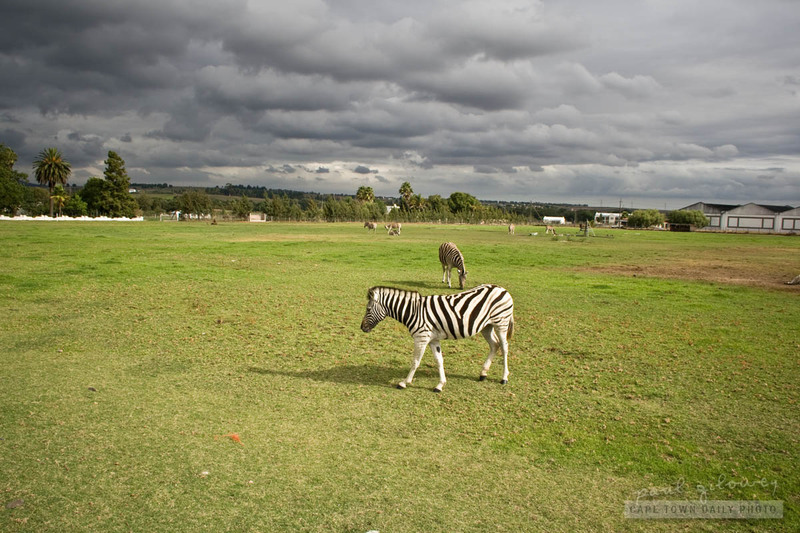 It's actually a really nice way to help guests find your hotel - drive down Buitengracht until you see the zebra. 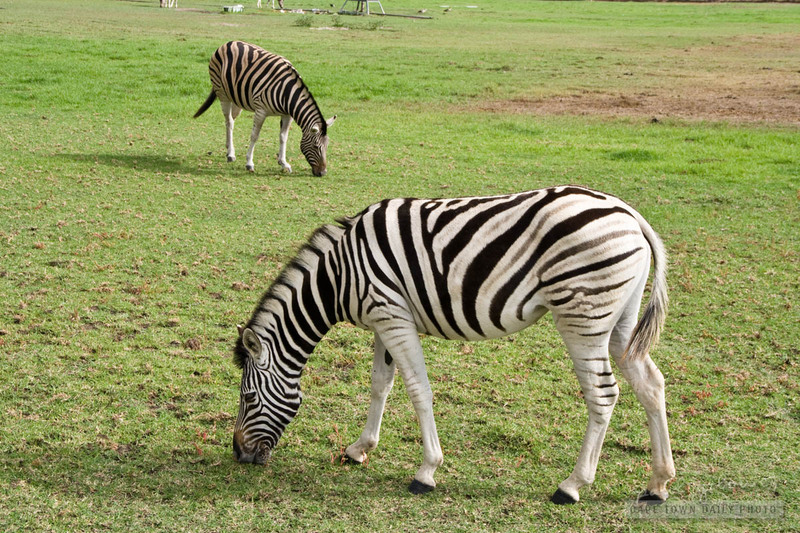 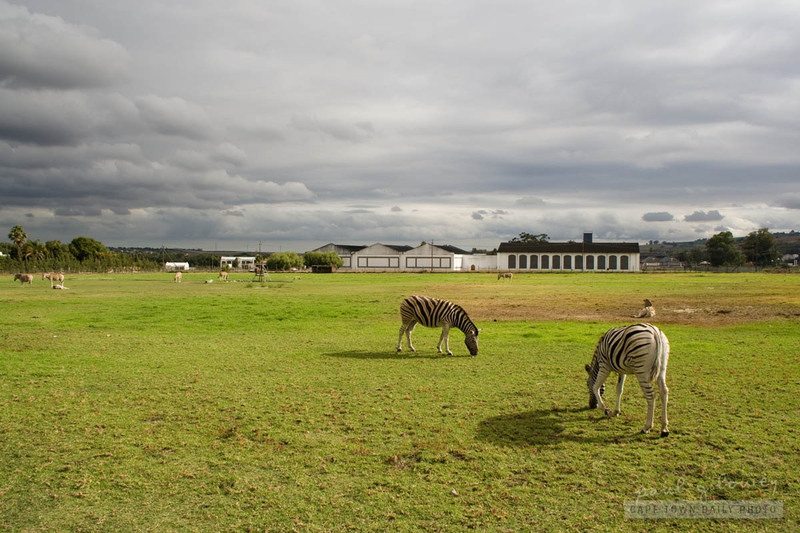 Posted in General and tagged hotels, zebra on Tuesday, 29 April, 2014 by Paul.